Uniquely elegant self-catering accommodation on the outskirts of Knysna perfectly located on the picturesque Rheenendal Ramble. 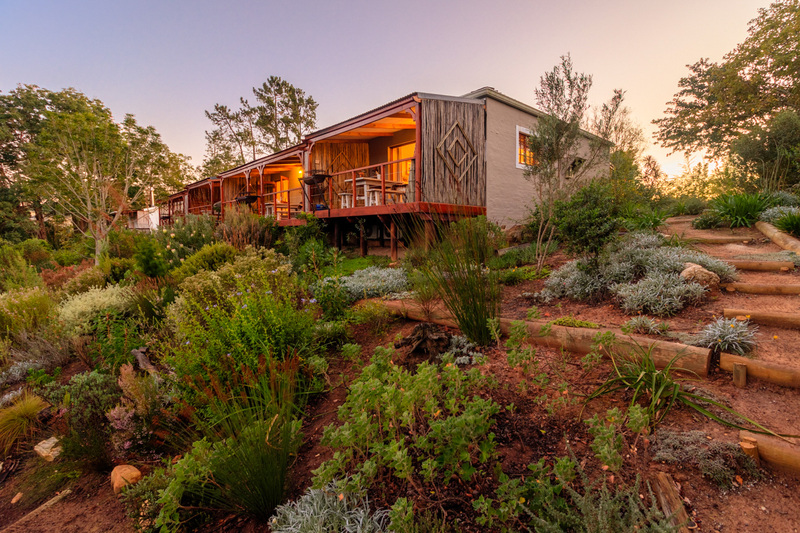 Set in beautiful fynbos gardens overlooking an indigenous forested valley. 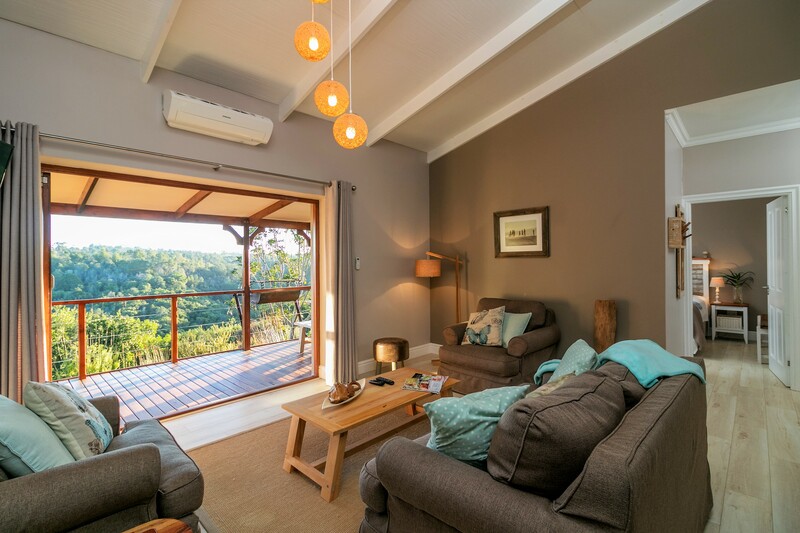 Fabulous views, private forest trail and fully equipped with every convenience from full kitchen and mini-bar to king size beds, DSTV, A/C and free Wi-Fi. 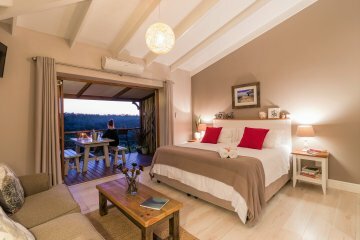 Beautifully furnished double or family-sized suites each with private sunset facing decks overlooking the forest and gardens. 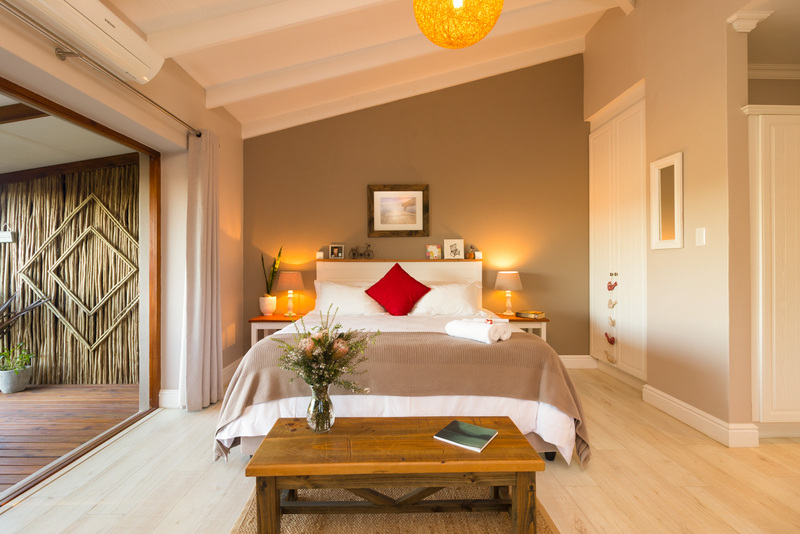 Each suite is fully equipped and with every special touch and convenience you can think of. 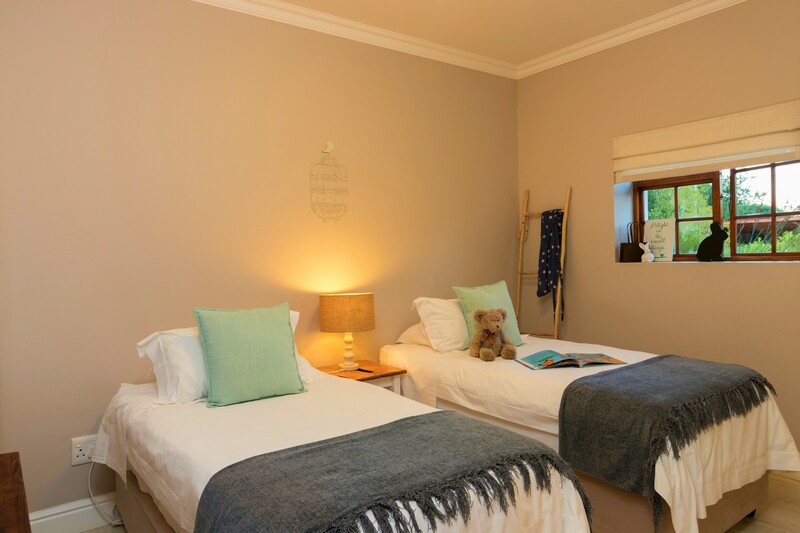 Double and Family Suite master bedrooms with king size beds opening on to the decks while the twin bedrooms face out over the rockery and duck pond. 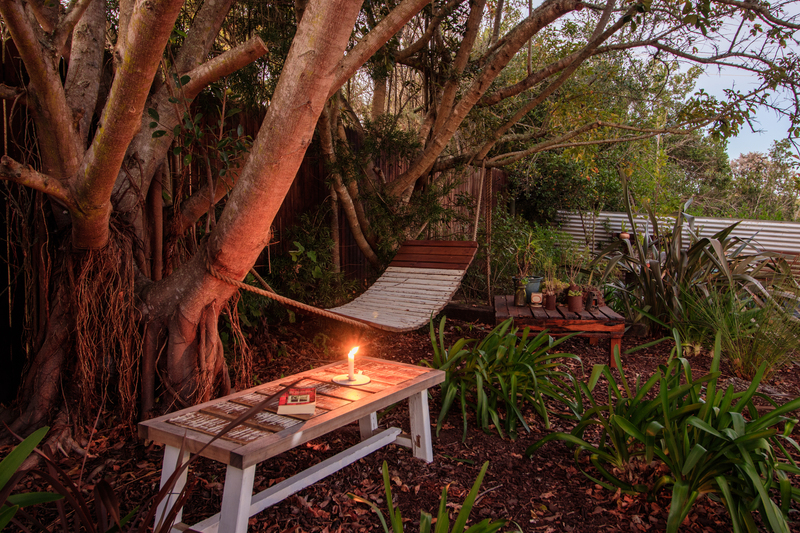 Outdoors you will find a private forest walking trail that winds down to the bottom of the valley and over a little stream, a barbeque and fire pit area overlooking the duck pond and beautiful indigenous gardens to explore with plenty of benches and interesting pieces of 'Garden Art". 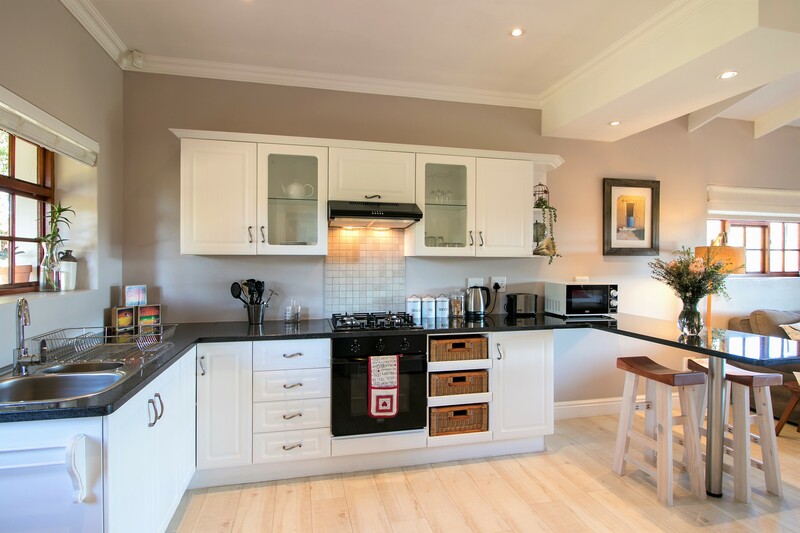 Fully fitted kitchens with gas hob, electric oven, fridge, kettle, toaster and breakfast bar. 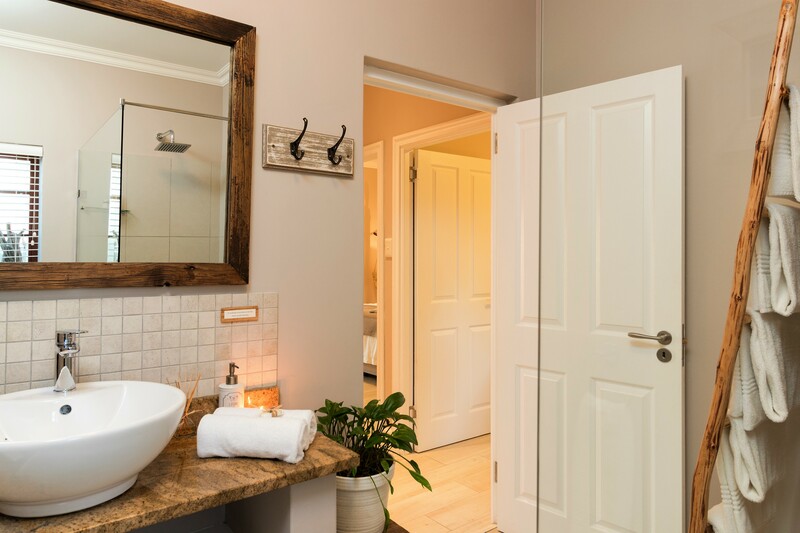 Mini-bar with snacks and refreshments. Complimentary tea, coffee, sugar, rusks and milk. 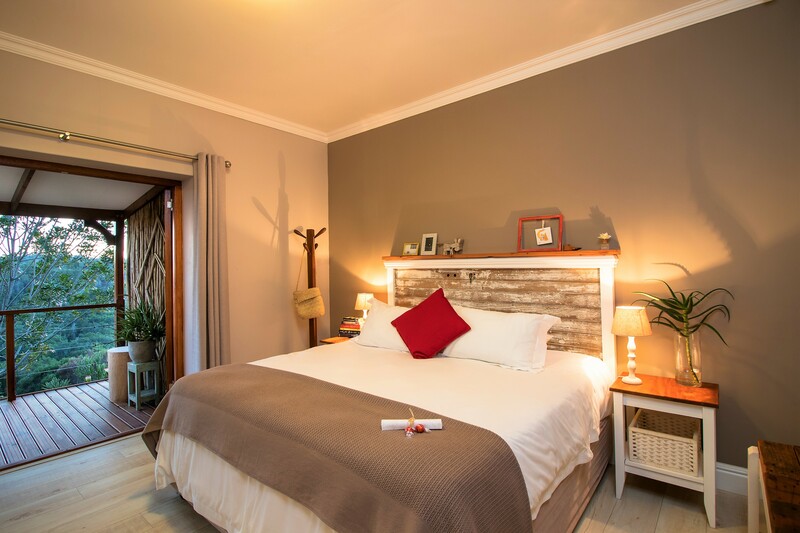 King size beds with fine percale linen and towels. DSTV, A/C, alarm system and free Wi-Fi. Lounge area with comfortable couches and coffee table. 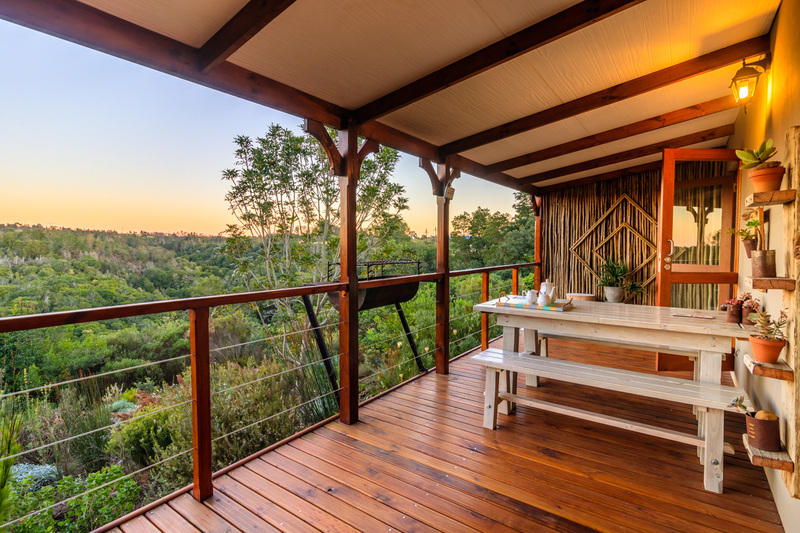 Private deck overlooking the forest with fabulous sunset and forest views.